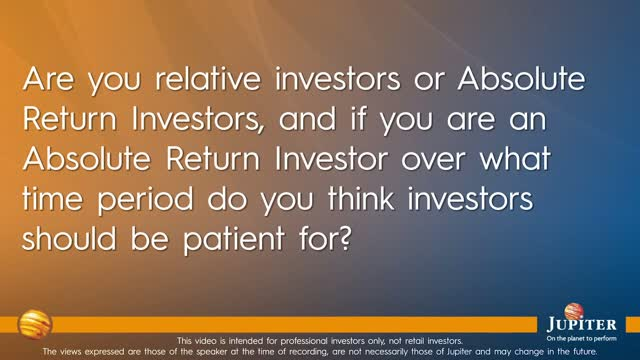 Are you relative investors or Absolute Return investors? Watch the panel's responses to the above questions from our recent Jupiter Merlin Portfolios QuestionTime. John Chatfeild-Roberts, Head of Strategy, Jupiter Independent Funds Team, hosted the lively panel debate which covered a range of topical themes. Title: Are you relative investors or Absolute Return investors?